PARENTS IN Coventry ARE ASTONISHED BY THE POSITIVE IMPACT MARTIAL ARTS CLASSES ARE HAVING ON THEIR CHILD! At Mayo Quanchi Judo & Wrestling, we Teach the Same Values You Teach at Home. Our philosophy with students this young is that any activity must be fun and interesting for the child or they won’t absorb what they learn. We aim to instill respect, honor, friendship, self control, modesty, politeness; key values in Judo. Judo is known for its benefits in developing character and as well as the body. 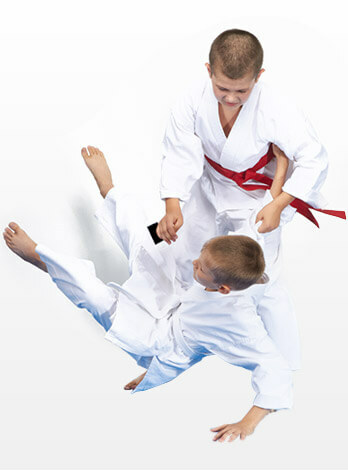 Children will enjoy engaging in a physical activity while learning the basics of Judo and developing their skills. We have two big rules we try to get across to the kids. We tell our students to “Try your best,” especially on things they feel they’re not good at, as it’s the only way they’ll improve. Our other rule is... HAVE FUN! With these ideas in mind, we hope to see all kids set down the proper path to learn Judo and have fun practicing it for the rest of their lives. Wrestling is a highly-effective form of self-defense, which focuses on real-life scenarios and teaches students how to resist them. The skills students are taught in class focus on technique and leverage instead using weight and strength. This will enable them to overcome attackers that might be larger and stronger than they are. Students will also experience a number of health benefits from their wrestling training, including weight loss and improved cardiovascular health. This competitive program will prepare judo athletes with Olympic aspirations to bridge the gap between domestic junior and international senior level competition. This is an under 23 program and eligible athletes must demonstrate character, dedication, and the desire to train to be the best they can be both on and off the mat. Services provided: strength and conditioning, nutrition plans, tournament planning guidance and top level coaching. We will be traveling to several national and international level competitions during the course of the year. We will also be collaborating with other training centers in order to give our athletes every opportunity possible to achieve their goals.